Melanie’s neighbor up the street, Christy, walked down the hill to join us for the day. Chris grew up in the area, as did her father, grandfather… great-grandfather, too? 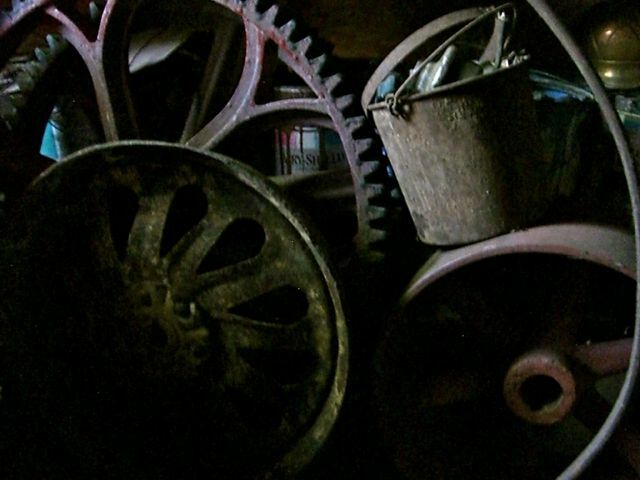 Her family owned a foundry, only recently sold off. 68 years old, dressed in a purple long-sleeved shirt, her brown hair blunt-cut around her face and brushing her collar in back, Chris speaks in the friendly, expressive tones of a grade school teacher. She’s an artist with strong hands and, we discover, a love of metal to rival Clark’s own. 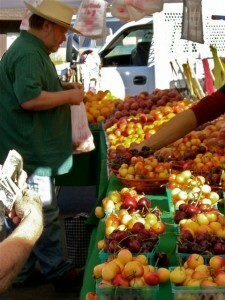 First stop: the farmer’s market in town, to pick up cherries for me and Melanie. On one of my previous visits to Melanie’s we’d spent the whole time eating cherries and drinking margaritas, then quietly retiring to opposite ends of the house to deal with the effects of eating nothing but cherries all day. That never stopped us from reconvening around the fruit bowl, however. It is perhaps a rare thing to associate intestinal distress with a thoroughly enjoyable visit, but there you go. Clark headed straight for the coffee stand. It's not morning without half a pot of coffee. 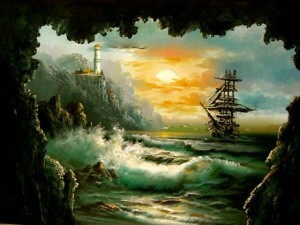 Lighthouse! Pirate ship! Cave! Setting sun! Crashing waves! After the Dump Store we dug around some lousy yard sales, then Christy took us to the remains of her family’s foundry. 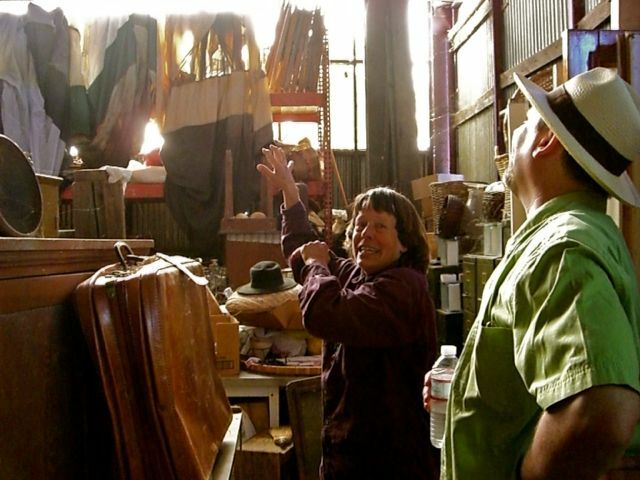 She has a warehouse full of family stuff: antique furniture, foundry molds, and nameless piles and piles of treasures. 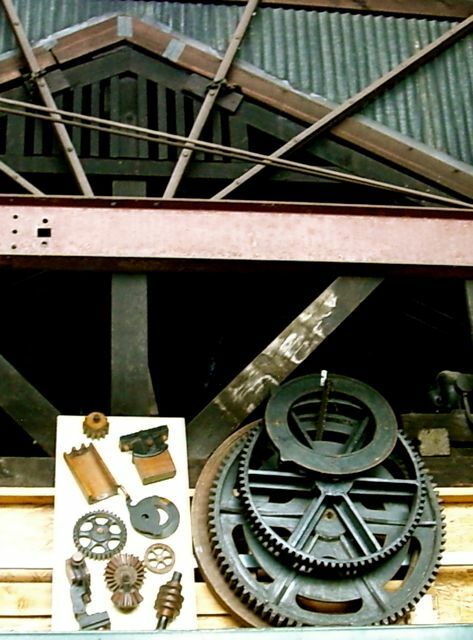 Christy is an artist, so she has an artist’s appreciation of old things with beautiful lines. Christy opens the door to her Aladdin's cave of treasures. Christy explains some of the treasures, while Clark restrains himself from digging around and coveting. Some of the old forms used at the foundry. Great fun looking around, but there was nothing car-related to be had in the cave, alas. Christy has spent her whole life roaming the countryside on foot, and years ago she stumbled on this one car part, which just happened to be up the street from Melanie’s house. So off Christy and Clark went, and indeed there was an old hood rotting into the ground, most likely from a Model T. Christy dragged it out of the brush and down to the edge of the field, while Clark – with great concern – asked who it belonged to. “Oh, they don’t even know it’s here,” Christy said. But Clark insisted on asking for the hood, so Christy called up the neighbors — a man running for judge, of all things — and got permission to take it. For the rest of the road trip, the hood rattled and clanked behind my seat in the car. It’s in such bad shape that it’s not really worth anything, but we love how we got it. 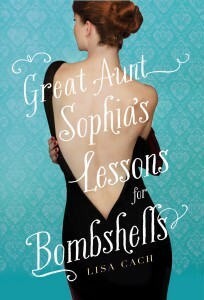 Christy was a hoot to spend time with; when we left, I gave her a copy of Great-Aunt Sophia’s Lessons for Bombshells. She has severe dyslexia, but she’s reading it anyway, and Melanie tells me she thinks it’s hysterical. The fantastic results of Brian's cover design efforts. If you want some guidance on making covers for your own books, or on e-pubbing your work, check out Brian’s website. The publishing industry, as everyone knows, is changing. E-books have made it possible for writers to proceed without traditional publishers, and that’s just what Melanie has done. After a long career in romance, she wanted to write cozy mysteries, but mysteries are a hard sell in the traditional publishing world, and her agent couldn’t find a buyer. So, with Brian’s technical help, she started publishing her mysteries herself… and in one year made more money than in the previous ten years, combined. Perhaps even more importantly, she now had the freedom to write what she wants. 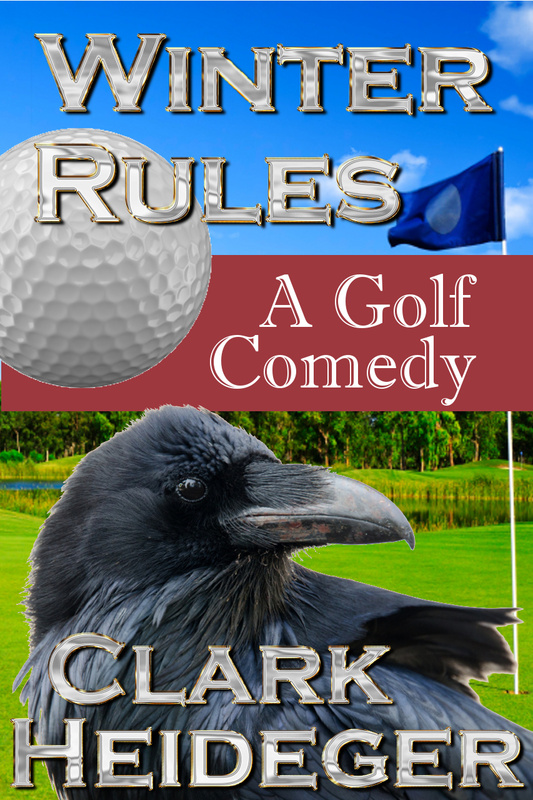 Clark tried a couple years ago to get an agent for Winter Rules, but no one would look at it. “Humor is a tough sell,” everyone told him, and as the rejections piled up he lost heart. But now, with the cover designed by Brian and the realization that he can publish the book himself, his enthusiasm has revived. 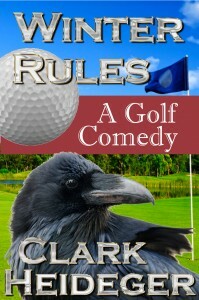 The book needs one last rewrite, and then it’s going up for sale. 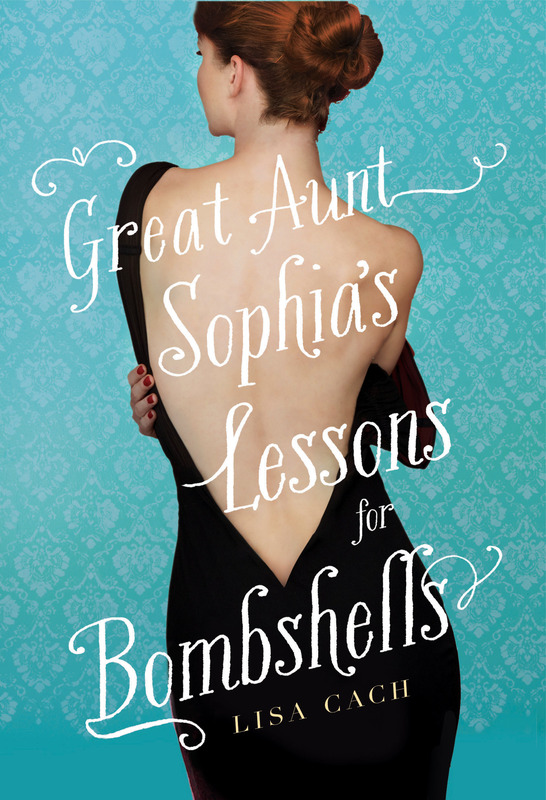 It’s a funny, light-hearted, sweet and clever book that deserves an audience. 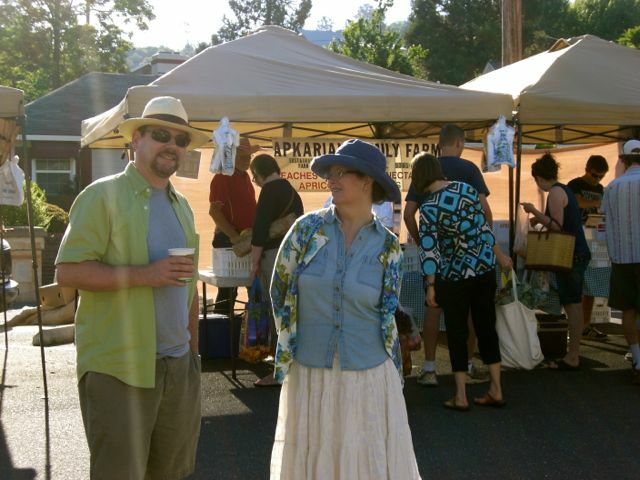 I’ve been re-invigorated by the time with Brian and Melanie, too. One of the hazards of writing for a traditional publisher is that you have to change your book based on what another person – your editor – thinks. This can work wonderfully well if you have a great editor whose opinion you trust 100%. It doesn’t work at all if you don’t trust your editor’s opinion, or if the editor has to obey a committee of other editors, or a superior, or the marketing department. Is the book better after changes made based on the opinions of a committee? I really doubt it. But it definitely harms the writer, who now cannot write without trying to guess what a group of nameless, faceless people are going to think. Worse yet, their opinions are unpredictable, and frequently change. In order to write, I have to pretend that no one else is ever going to read what I put down. The internal censor and critic is so vicious – I gave it a name, ‘Gorlach’ – that it has to be locked in a dark mental dungeon if I’m going to write anything at all. The best way I know to do that is to tell Gorlach that no one, ever, is going to see what I write. With the promise of e-pubbing, Gorlach almost believes me. Alpine did eventually get her croissant, by the way. 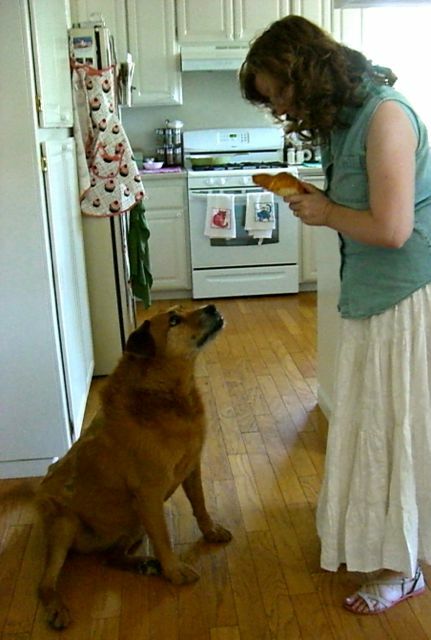 Willing to sit for a moment, for the sake of French pastry.